Following our recent posts about color, I thought today would be a good time to make a collage of my favorite color, blue. I hope you enjoy the photos. 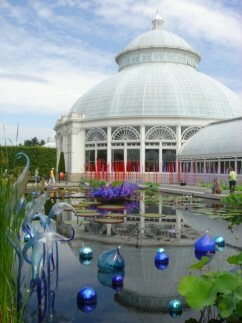 In my past posts about the colors yellow, red, and lavendar, I included glass creations by Dale Chihuly. Well, here is some more of his art. 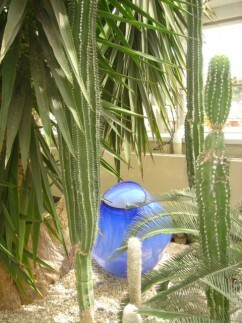 These, like the others, were in a special exhibit at the New York Botanical Garden. What could be better than a blue sky on a daughter’s wedding day? 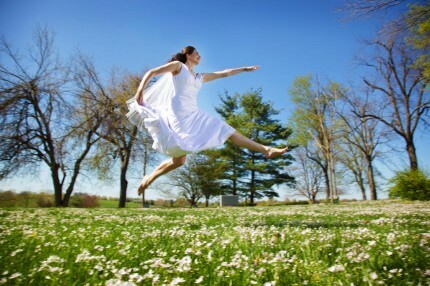 Yes, that is my daughter and blog partner Jordan sailing above the spring grass in her wedding dress just moments before the ceremony began. Do you think she was happy???!!??? I love this shot. 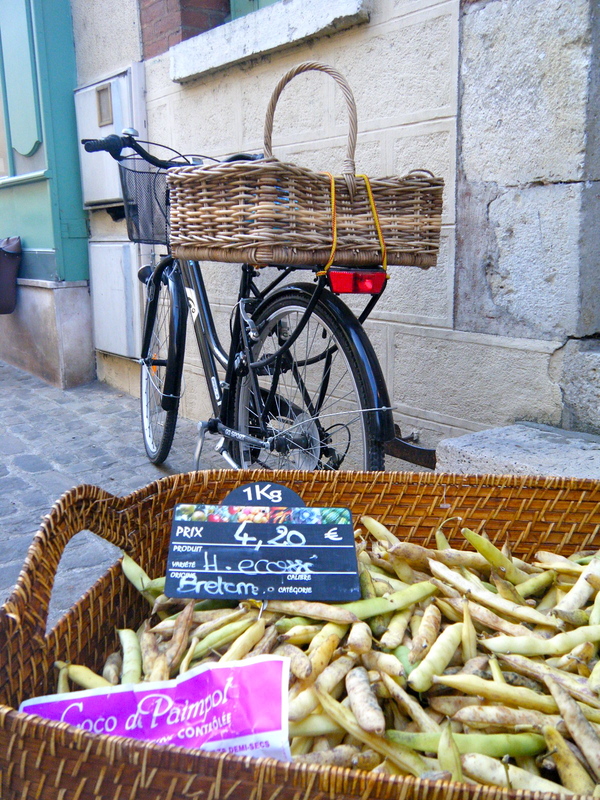 While bicycling through the mountains of Laos on our way to Hanoi in January, we stopped at a street market. 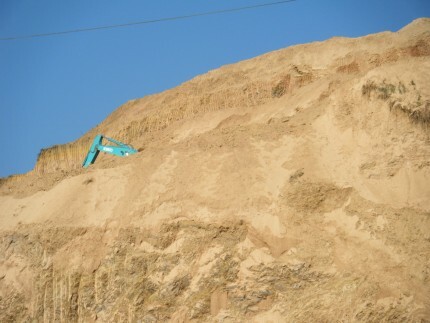 I kept seeing a flash of blue and realized it was a steam shovel working away in the hill above the market. This is all we could see. Then it would briefly disappear and then reappear. It was a very intense teal blue. This is my Mr. 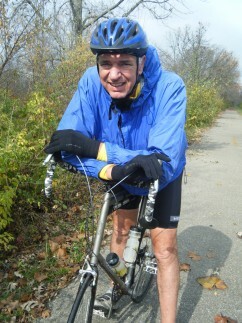 Autumn in his blue cycling jacket stopping long enough for me to snap his photo during a ride in Ohio. 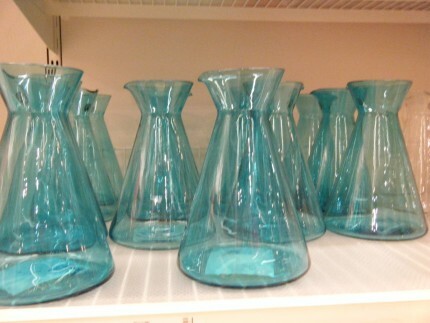 We showed you these cute IKEA vases in an earlier blog. 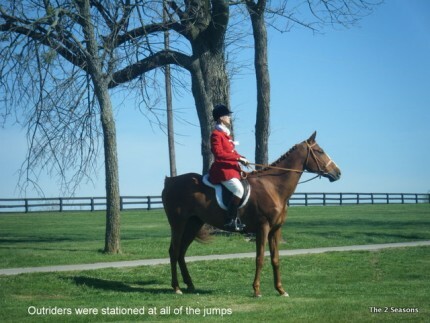 The blue sky behind this outrider, at a major horse competition here is Lexington, is beautiful. 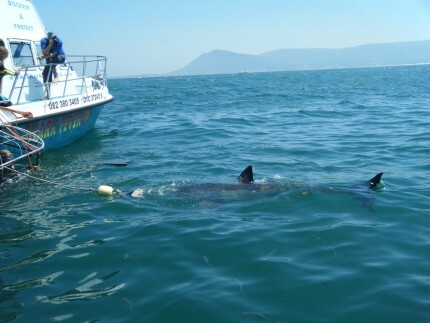 The water was intensely blue when we went shark hunting in South Africa. 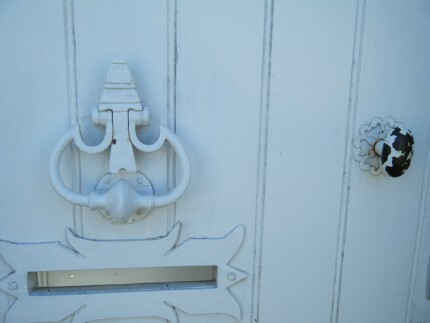 I love the bluish white hue of this French door. 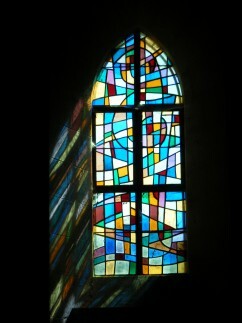 And finally, I always love the way light bounces off of the walls through stained and leaded windows. 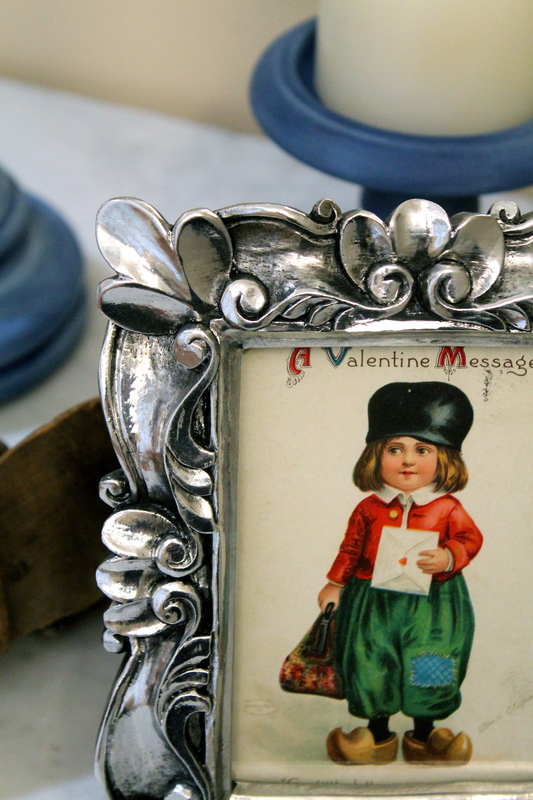 This is in a French chapel. What is your favorite color? Please share. Wedding photo taken by Eric Graf. Your photography is beautiful. Love Dale Chihuly. We live in AZ, & got to see some of his beautiful art at the Phoenix Desert Botanical Garden’s “Las Luminarias” Christmas tour. It was just beautiful. Mine is an easy one – Green! The difficulty with that would be too many choices I would imagine. I love Dale Chihuly too. His glass is so vibrant and imaginative. Have you seen the ceiling of the Bellagio hotel reception area in Vegas? Perhaps his best work ever. Absolutely stunning!! I organized a medical conference at the Bellagio, and yes, the glass ceilings were spectacular. All of the pictures are so good but I especially like the one of Jordan, It is such an awesome photo and I love how it captured such a special moment!